During the Vietnam War, more than 30 years ago, he said, he and two sniffer dogs saved thousands of lives, including his own on seven occasions as they walked through mines, booby traps and tunnels filled with explosives. He went on to make a living with dogs, running Anthony Jerone’s School of Dog Training & Career Inc, in Fresh Meadows. Now Jerone hopes to return the favors to the species he loves so much. Jerone apparently has succeeded in getting approvals for a 10,000-square foot dog run in Cunningham Park at 193rd Street and Union Turnpike after a five-year battle with several community boards. Community Board 8 has agreed in principle to a six-month trial run after Jerone signs a maintenance agreement with the Queens Parks and Recreation Department promising to keep the area clean. “I will sign it as soon as it is drawn up,” said Jerone, who was joined in his effort by about 30 dog owners attending a recent board meeting. The run will be covered in cedar chips and enclosed by a six-foot fence. An association of four people will volunteer to clean the area. After the trial period, the board will decide whether the dog run, an enclosed area of land where the dogs can run freely without leashes and play with others, will benefit the community and Parks and Recreation will rule if it will be permanent. because members believed it was not a suitable site. In July of the same year, the board also said no to a proposal of Alley Park Pond without giving a reason. Mary Tschinkel, the assistant to the district manager of Community Board 5, said Jerone had planned for a dog run at Juniper Valley Park, but the Civic Association and local residents opposed it. 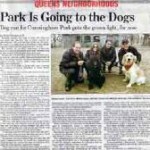 But Jerone says that, with only one other dog run in Queens (at Mueller Park on 55 Street and Woodside Avenue), there is a clear need. The additional space will ease the problem of owners being fined $100 for a first-time offense and $1,000 for multiple offenders for allowing dogs to run in parks without a leash, he said. City law states dogs also must be licensed and have a rabies shot tag. According to the Parks Department, there were 416 summons issued to dog owners last year, mostly for dogs without leashes. Jerone’s stories about dogs could be the stuff of movies. After he joined the U.S. Army in 1968, he went to Fort Benning in Georgia and was introduced to Lobo, a German Shepherd, who was sold to the military for $1 by his owner because he had bitten five people on the face. Trainers taught Lobo- one of two dogs Jerone worked with- to become a scout to sniff out mines, booby traps and enemy ambushes. 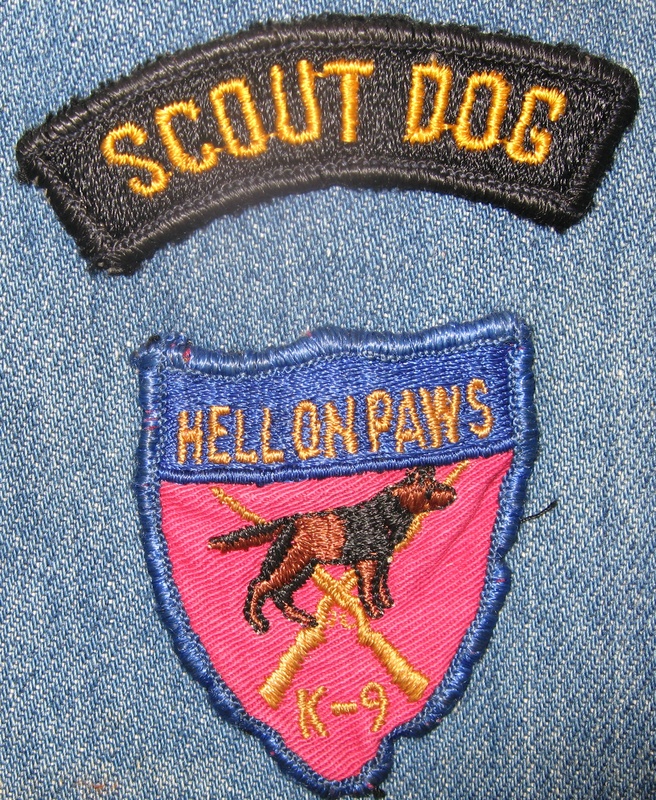 After three months, Jerone and Lobo went to the Mekong Delta in Vietnam with the Ninth Infantry Division where he was known as “the dogman.” “We did everything together, we ate and slept together,” he said. “Our job was to walk 100 feet ahead of a unit of 20 to 100 and make sure the path was free of explosives. Lobo died of a disease after six months. “It devastated me,” Jerone said. “I had to bury him and it took me a while to get over it. I still have a photograph of him.